Traditional Indigenous Clothing was one of the first things early European explorers adopted as they surveyed the New World in search of the Northwest Passage. It was recognized for its durability, quality and ability keep the wearer warm in harsh climates. European clothing, however was cheaper and at the time more fashionable. Indigenous inspired clothing is now hitting the mainstream not only in Canada, but in other parts of the world. Smaller companies like Sapling and Flint Designs and Tlicho Online Store work to promote and celebrate their cultures and support their communities through the sale of their products. While companies like NeechieGear promote the celebration of Indiginous culture in general, while giving a percentage of their proceeds back to the community. Although Manitoba Mukluks is one of the most successful of these the Indigenous-owned company strives to insure that the success of the company is shared with others, as it supports Indigenous communities, celebrates Indigenous values, traditions and history. In 2014 Australia hosted its first Indigenous Fashion Week showcasing artists and designers and well as inspiring Aboriginal models, whom were mentored by professional models throughout the week. Other designers like Canada’s Jamie Medicine Crane notes that she is inspired by her Blackfoot culture when designing. She also uses her designs to bring attention to social issues, for example a gown with 2,000 gemstones, each representing a missing or murdered Indigenous Woman. Cultural Appropriation is a concern for many, as artists and designers often take ideas from one another. In 2015 after creating a sweater that was a replica of an Inuit Shaman’s jacket, the UK fashion label KTZ did pull the jacket from store shelves, and apologize, but did not offer financial compensation. The company did say they were trying to “to encourage appreciation for traditions, ethnicities and religions’ diversity.” Additionally, Canadian designers Dean and Dan Caten of Dsquared2, have not only used Indigenous inspired designs, but were accused of using racist labeling in their 2015-16 collection titled #Dsquaw. There are no laws protecting Indigenous art, designs, or other traditional knowledge. According to Simon Fraser University professor, George Nicholas, “Indigenous heritage is often seen as public domain, free for the taking,” and it is extremely difficult to protect. Intellectual-property laws were not designed with shared cultural knowledge and art in mind. The World Intellectual Protection Organization has formed a special committee to develop a system that would protect Indigenous intellectual property. Bird, Hilary. “Indigenous culture not protected in Canadian law, lawyers and academics say.” CBCnews, CBC/Radio Canada, 31 May 2017, www.cbc.ca/news/canada/north/indigenous-culture-not-protected-in-canadian-law-lawyers-and-academics-say-1.4138794. Black, Erin. “We Went to Australian Indigenous Fashion Week.” Vice, 17 Apr. 2014, http://www.vice.com/en_au/article/5gkya8/we-went-to-australian-indigenous-fashion-week. News, CBC. “Canadian fashion label Dsquared2 under fire for #Dsquaw collection.” CBCnews, CBC/Radio Canada, 6 Mar. 2015, www.cbc.ca/news/indigenous/dsquared2-under-fire-for-dsquaw-women-s-fashion-collection-1.2980136. Zerehi, Sima Sahar. “U.K. fashion label under fire for copying Inuit shaman’s robe.” CBCnews, CBC/Radio Canada, 25 Nov. 2015, http://www.cbc.ca/news/canada/north/ktz-fashion-inuit-design-1.3337047. I have selected our school district’s Aboriginal Education Enhancement Agreement as a resource because it informs educators in our district – keeping at the forefront our “why”. The goal to promote the success of all aboriginal students in our schools by surrounding our students with community. Dr. Vincent Slogan, a Musqueam Elder and his teaching “Hands Back and Hands Forward” inspired the logo design and continues to inspire powerful conversations in our district. This article talks about the interconnection of Aboriginals and nature and how specifically, the Yupiaq people in Alaska, are no different. Due to their remote location with a harsh climate they have come to have vast empirical knowledge of the land. It breaks down the essence of the Yupiaq lifestyle and how nature plays an important role in all aspects of their lifestyle. It explains how the encroachment of Western civilization has changed the way they go about many things, including education. Many of the teachers(non-Aboriginal) don’t recognize that the Yupiaq children learn differently and are not like European children. By ignoring their values, beliefs and culture, ultimately they are saying their skills and knowledge is of little importance. This article offers relevant information from the perspective of the Yupiaq people and what ignoring and encroachment do to Aboriginal children skill acquisition. This site looks at endangered languages all over the world. The site is an excellent resource for gaining a perspective on the wide scope of the problem and the many languages that are on the verge of disappearing. Resource links to scholarly publications and various types of research can be found at this site. There is an easy to use searchable database that can point to information related to education, anthropology, political issues and environmental factors. One of the most useful parts of the site is the worldwide language map which indicates locations across the globe where languages are at risk or severely endangered of becoming extinct. This site is a link to an article on Aboriginal languages in danger of becoming extinct across Canada. Among other things the site identifies British Columbia as the province most in danger of losing Native languages and subsequently culture. Useful statics on the number of Aboriginal languages and the decline over the years can be found throughout the article. It also discusses the problem in the context of education and the efforts being made to incorporate it into highschool and university programs. Though it is not a scholarly article it brings up several important points related to the loss of language and culture that would be valuable to anyone researching these important topics for their project. 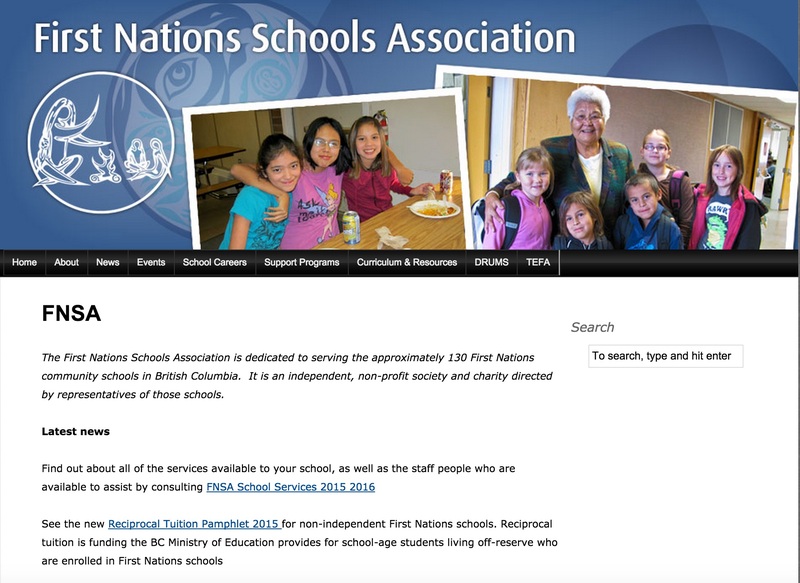 The First Nations Schools Association is a committed organization representing all First Nations schools in British Columbia. 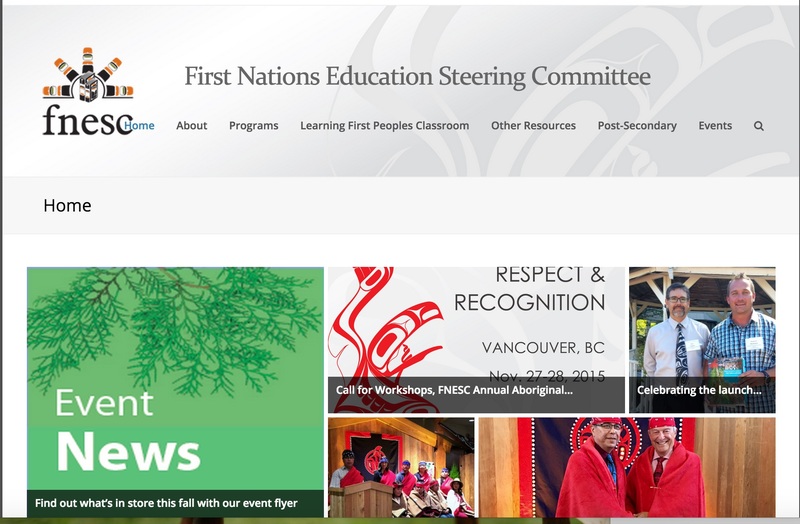 The site includes published documents from the organization including action plans on Aboriginal language program planning, curriculum and resource planning, and archived cultural materials. They also have post-secondary materials available concerning career and education planning as well as helpful resources for parents of students in Aboriginal schools. You can find links to their various programs, including “Connected Classrooms,” which uses the internet to provide online learning from specialty teachers in the province. Information and support is also available to educators who may be looking for training or materials. This is an excellent site for anyone interested in researching indigenous knowledge transmission in BC Native schools and the integration of technology to provide specialty learning opportunities in small rural communities. 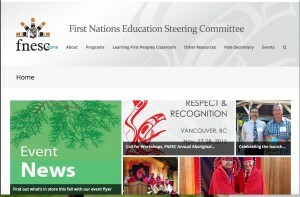 The First Nation Steering Committee is a collective organization of Bands in BC focussed on “advancing quality education for all First Nation Learners.” They work with the BC provincial government, providing research, communications, information dissemination, advocacy, program administration and networking. They are responsible for the creation of curriculum like English First Peoples 10, 11, 12 and resources such as Math First Peoples 8 and 9 which are widely used throughout the province.